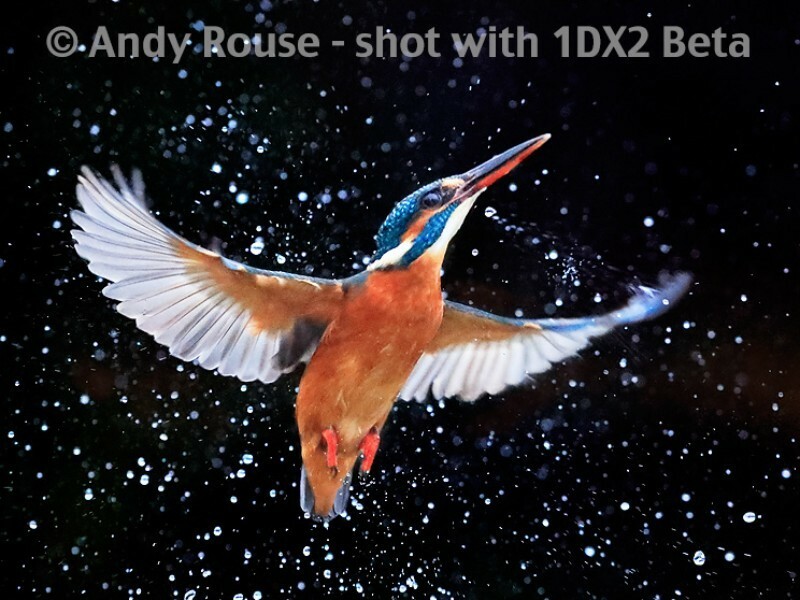 My apologies for not updating much here, I am really relishing the new features that the 1DX2 has given me and am out shooting with it at every opportunity. Mainly this has been the 4K video, which has really opened up a whole new world for me as the Movie AF works brilliantly, but more on that in a BLOG next week (FotoBuzz members you are about to get a whole mini series on moving making etc). 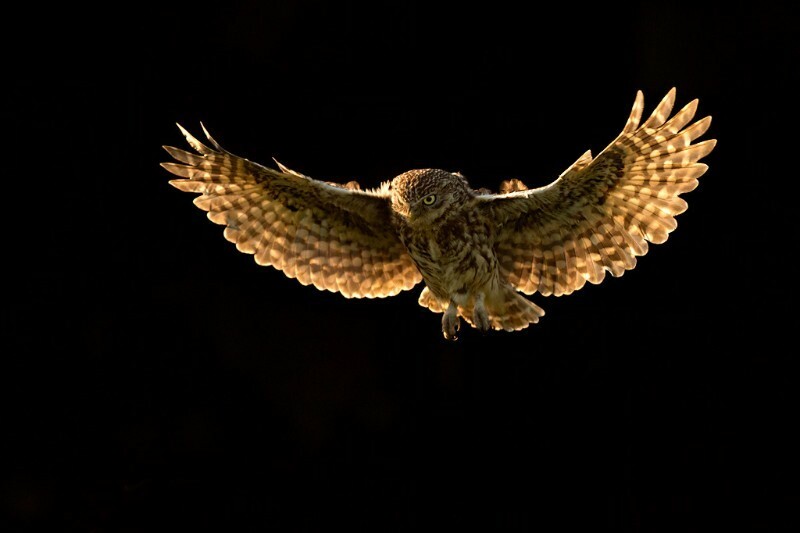 A case in point here of a lovely Little Owl. Shot at ISO 4000 to get the necessary shutter speed and depth of field, in the dark areas under the wings there would be shadow noise that would be evident had I been required to brighten the image. I accepted this shooting at ISO 4000 was a real bonus. Of course I did shoot occasionally at ISO 8000 too, but only in circumstances where I really really needed to. ISO 25,600. Ridiculous right? You would think so until you look at the file above. Now I am not allowed to show you a 100% crop as this is a Beta camera and no manufacturer would ever allow that until the production version. 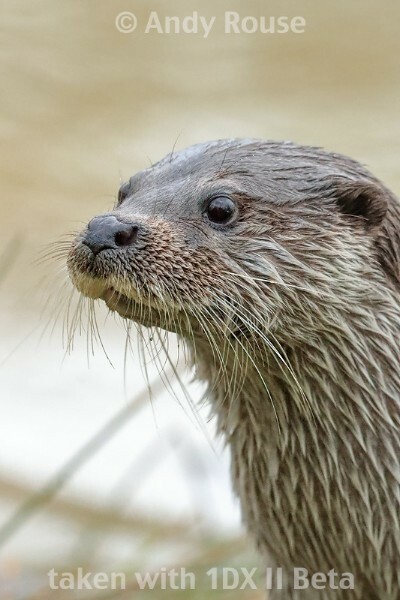 But trust me I have been able to brighten the dark area under the chin and apart from a few minor artefacts in the whiskers, the image has incredible detail and noise performance. Remember I have done nothing more than put it through DPP, that evidently magic piece of software. This image is certainly good enough quality for a magazine cover or an A3 vertical calendar, both tough clients to please on quality. As I said before it's not like an ISO 100 image but it's not what you expect from a 25,600 image either. Only ISO 10,000 this time, I just needed to get 1/2000th second at f6.3 - f7.1 so didn't need to be any higher. The weather was grim. The file. Amazing noise performance, especially under the chin where you would expect it to lurk. Again I brightened it up a little without any worry. In fact to be totally 100% honest here there was really no noise anywhere on the image that I was worried about from a commercial standpoint. But it's the AF I wanna talk about. On the runs where I was on form and so was the otter, I nailed 75% plus sharp on some runs. 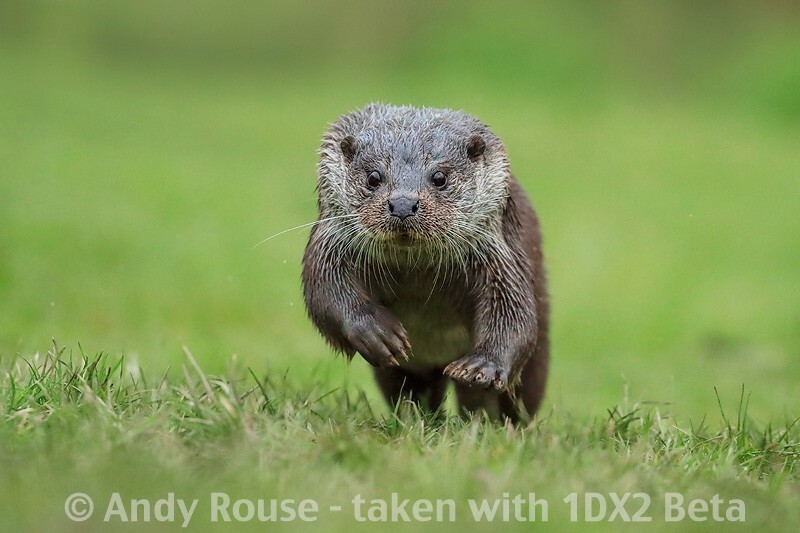 It would be tough to get more as the otter has an undulating run and I am trying to bounce the camera to keep the centre spots over the face. Now 75% of images sharp like this, a right pain in the backside as I keep a lot. I just did a shoot with the amazing Red Arrows at their base ( a future BLOG) and I would say my hit rate was 98% plus. I gave up having the editor at 100% looking for sharp images, they were all sharp. This makes a massive difference to me as I can get a much higher hit rate and have more images to choose from. For me it's not just about getting an image in focus, the composition has to be perfect too. So I'm getting great results so far with the AF and high ISO, I will update more as I get more to show but so far it's amazing. AF via LiveView? Surely some mistake? Pretty low ISO this one at 800. I used LiveView to focus because I wanted a very low angle shot to create a special artistic composition and it was tough to get my eye in the viewfinder. So I used LiveView and simply touched the point I wanted to focus on. Brilliant. I was comfortable when I shot and it showed as again everyone in the sequence was sharp (although to be fair this wasn't a great AF test). For me though the ability to shoot reliably when laying behind the camera close to the ground will be a godsend, as it will help my fieldcraft no end! Last thing on this image, the colours are all natural out of the camera. 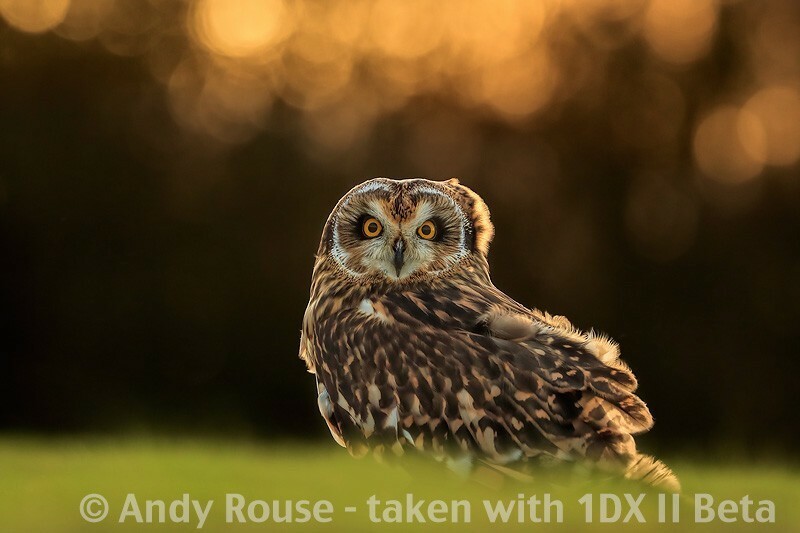 Park Cameras - Park Cameras are doing great deals on the 1DX2, part ex too, and you also get the chance to win a coupla days shooting with me. Ok so that may not be to your taste as I am a Hammer but the shooting will be worth it! To check out the Park Cameras 1DX2 page click here. On Sunday February 28th I am running a Fieldcraft workshop at the WWT Slimbridge Centre. Fieldcraft is knowing how to get close to animals / birds to photographing them without disturbance. Many people write to me not knowing how to start their wildlife photography. Well it starts right here. The price is £75 VAT click here for details. Come along and be inspired. Get answers from an expert.